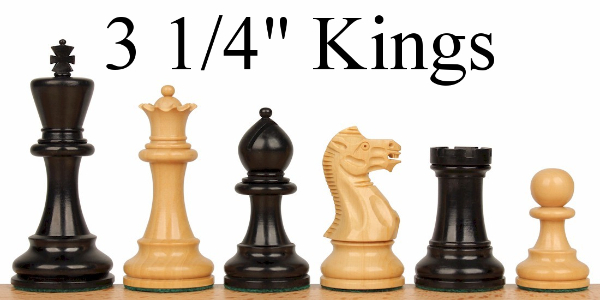 Wood chess pieces come in many sizes to meet the need for which they will be used. 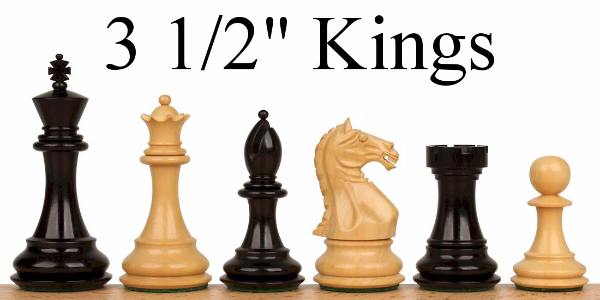 For the casual game at home just about any size will do, as long as you have the space. 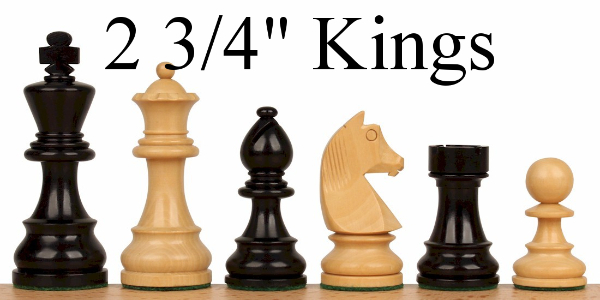 For taking out to the coffee shop or traveling a smaller set with a 2.75” or 3” king is usually best. 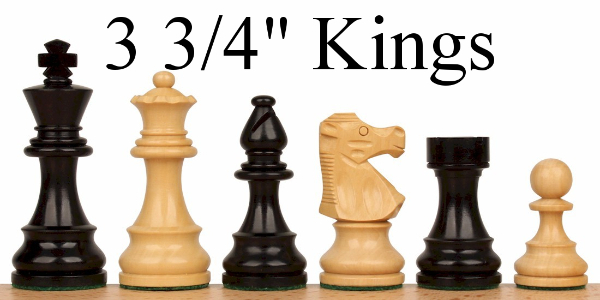 For club and tournament play pieces sets with a 3.75” to 4” king is usually needed. 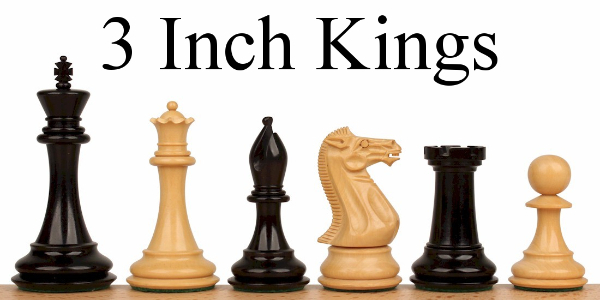 If you’re looking for a special chess set to display to in your home, the fancier sets are larger with kings from 4.25” to 4.5” tall. 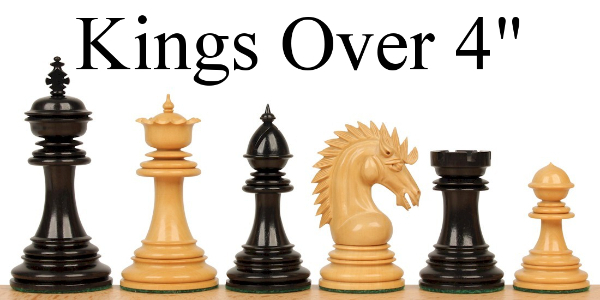 Generally, the bigger the set the more expensive but that varies depending on the complexity of the design and the type of wood. 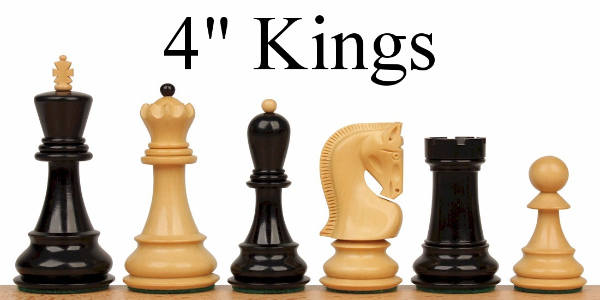 Below you can shop by the size or sizes you’re looking for.